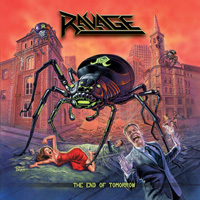 The heavy metal band, RAVAGE, began as the idea of two young brothers from Boston, Massachusetts. The two, whom fans would come to know as Al RAVAGE and Eli Joe, wished to form a band that could bring bombastic heavy metal back to prominence and crush the insipid alterna-grunge music craze of the mid-90′s. 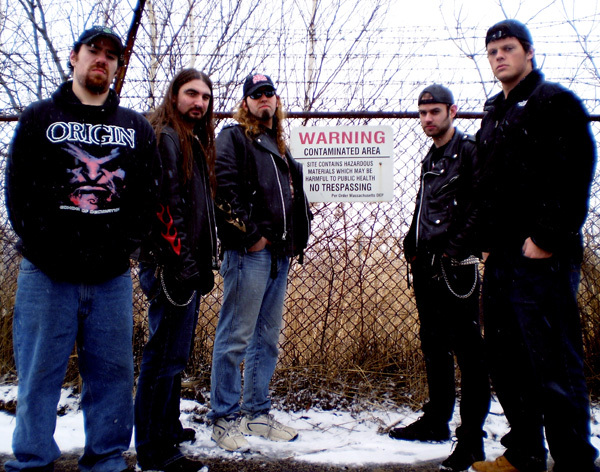 Though the barely-high school aged rockers had mighty ambitions when they played their first gig in 1996, they quickly learned that Rome was not built in a day, and RAVAGE had to endure endless line-up changes while honing their sound and forging their way through the local underground metal scene. Rough demos, bootlegs, and countless shows began to pay some dividends as the band gained a cult following. 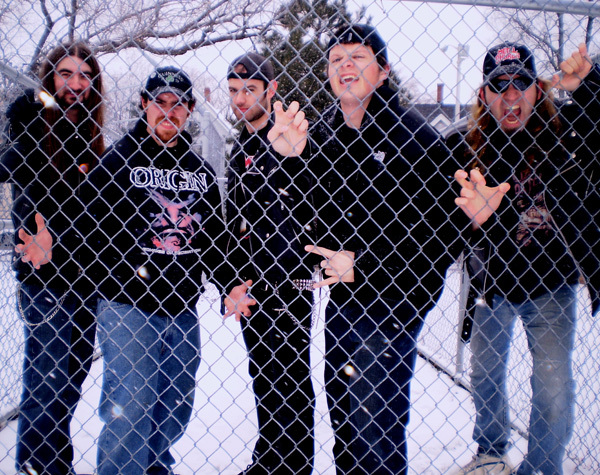 RAVAGE soon reached a level of international acclaim with the self-release of their 2003 Curse of Heaven EP. The EP sold out quickly and the band was signed to Germany’s Karthago Records to release their first full-length album in 2005. Monetary issues, further line-up problems and internal strife plagued the self-financed recording which was well received by some for its strong songs, but was often overlooked for its weak production value. Following the release, Al, Eli, and long-time guitarist Nick Izzo (who had joined the band in 2001), put together a new line-up with local bass basher Howie ‘The Mosh Pig’ Snow, and drum smasher, GTB, who had been working with Eli on a side-project. The new line-up was invited to play at Germany’s Swordbrother’s festival in 2006 where the band put on a raucous display for thrilled fans who came from all over Europe. 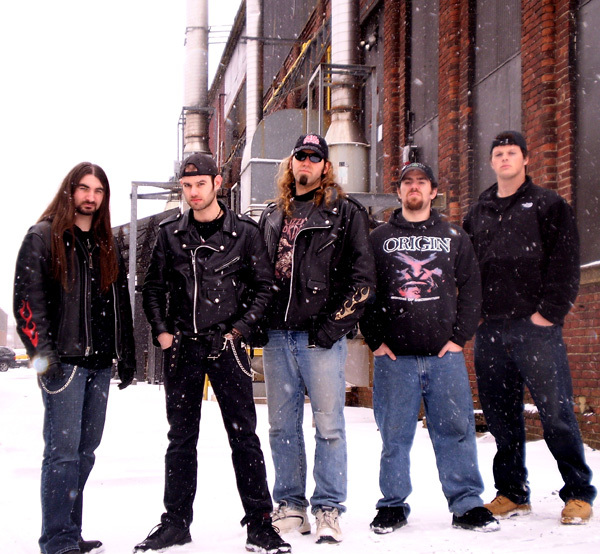 Upon their return home, the band began recording their second full-length album, The End of Tomorrow. 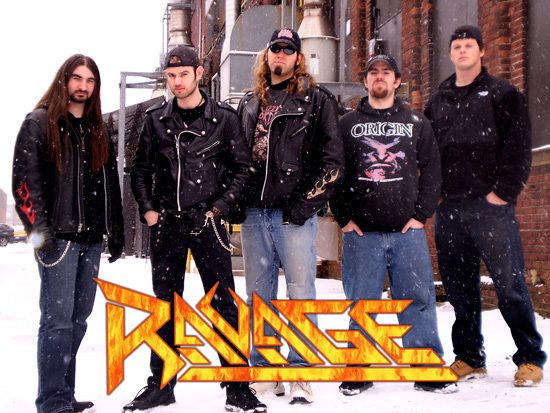 The next two years would see RAVAGE in and out of the studio as they completed 17 tracks, including a cover of Warlock’s Cold Cold World, which was released on a Warlock Tribute album by Pure Steel Records. 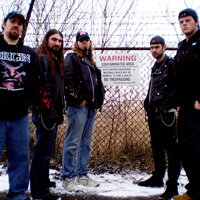 RAVAGE chose 6 of the other songs to comprise the Freedom Fighter EP, which the band self-released in order to find a new label. With the new recording show casing musical leaps and bounds in both song-writing and production, RAVAGE set out to find a cover artist who would do justice to their work. The band soon announced that they had secured the talents of the one and only master of metal cover art Ed Repka – best known for his work with MEGADETH and DEATH. With the recording finally completed and with killer cover art on the way, the band was approached by Metal Blade Records and signed on with the legendary label to bring The End of Tomorrow to the masses. RAVAGE‘s new album seamlessly intertwines the sounds of New Wave of British Heavy Metal, late 80′s American Thrash Metal and late 90′s European power metal to showcase the band’s signature style. 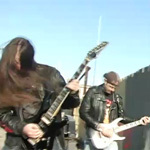 The album is sure to be enjoyed by metal maniacs young and old as it blends the soaring vocal and guitar melodies of Iron Maiden and Helloween with the raw power of thrashers like Testament and Kreator, presented in a crisply modern production-style courtesy of producer Peter Rutcho, the mastermind behind the band VOMITRON. The End of Tomorrow is only the beginning for RAVAGE, who are only in their mid-20′s, despite having played together for over 10 years! 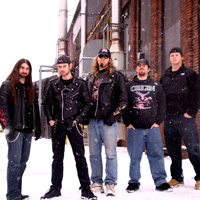 Expect to see RAVAGE‘s Metal Blade debut, The End of Tomorrow, to drop in the late summer of 2009 with touring leading up to and throughout the release of the album.